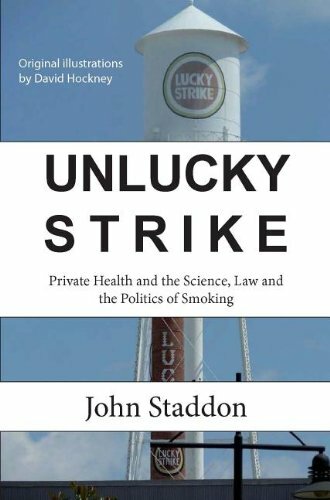 If you’re involved in a fight over smoking restrictions or simply want to be well-armed when the topic comes up, Unlucky Strike is a book for you. 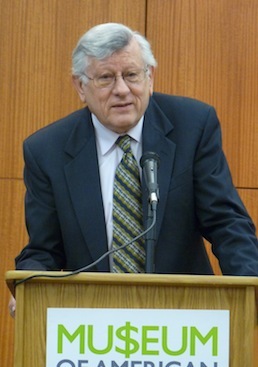 Written by Professor John Staddon (above right), a Duke University professor of psychology and biology, his aim is “a re-think and a redress” of society’s current views on smoking. He marshals a lot of argument, replete with footnotes and citations, in just over 100 pages. That’s fitting for a scholar whose work has ranged from simulated detection of landmines to lectures on traffic control. But the book is anything but a dry, academic tome. Whether exploring the limitations of epidemiology or dissecting the ins and outs of the tobacco Master Settlement Agreement of 1998, Staddon maintains a sharp focus, a sense of humor, and a conversational tone. You’re as apt to run across a reference to comedians Laurel and Hardy as to epidemiologist Sir Richard Doll. Nonetheless, this is a book that is unlikely to enjoy wide readership. And that might be OK if those who do read it include policy makers, legislators, scientists, and other researchers. Because whether one agrees with Staddon’s views on smoking, there’s no disputing his thoroughness and depth in presenting his case. It would help anyone keep the sort of open mind necessary to reach valid conclusions. You can order Unlucky Strike online at Amazon. So what exactly are Staddon’s views on smoking that stood out to you? Wesley – I'd say his major point is that smoking has no public cost, and puts only individual smokers at risk. As such, he writes, "the dominant attitude to smoking makes little sense … the general animus encourages tendentious science, perverts law and tempts politicians into dubious practices.."
Well, the book is only $4 for the Kindle version. Is that a bargain, or a function of the book not being that great? Trent – I have no idea how prices are set for electronic versions of books. Obviously, the audience for this type of book is minuscule compared to something by someone such as J. K. Rowling, John Grisham or David McCullough. I would note that it's published by a small university press and, as I wrote, not very long. Those both may play a role, I don't know.